Taupo is one of the most active and productive caldera volcanoes in the world, and the youngest known supervolcano. Over the past 12,000 years there have been at least 25 eruptions. During my PhD research I studied the products of past eruptions to investigate how the volcano and its magmatic system have evolved through time and what it is capable of doing in the future. Most of my research is focused around volcanoes; their manifestation, evolution, eruptive processes and products. From the largest supervolcanoes on land to domes in the deep ocean, I am fascinated by the unique origin, structure, and behavior of volcanoes all over the world. Below you will find a description of some of my broad research interests and some examples of new and ongoing projects that I am involved with. The Taupo Volcanic Zone (TVZ) is one of the most frequently active and productive regions of Quaternary volcanism on Earth, with associated high magma supply and heat flow. This project will fingerprint the composition(s) of primitive magmas feeding heat and new magma into the TVZ volcanoes to calculate differentiation pathways and to help identify the origin of elevated magma supply in this unique, rifted arc setting. Utilizing the best collection of speleothems in the Southern Hemisphere this project will identify and date chemical fingerprints of volcanic eruptions in layers of secondary mineral deposits formed from drip waters in NZ caves and, in the same archive, geochemically quantify post-eruption environmental changes (rainfall, temperature, wind). This will provide robust insights into the nature, magnitude, frequency and longevity of regional and global climate change caused by prehistoric (super) eruptions from the highly active TVZ. 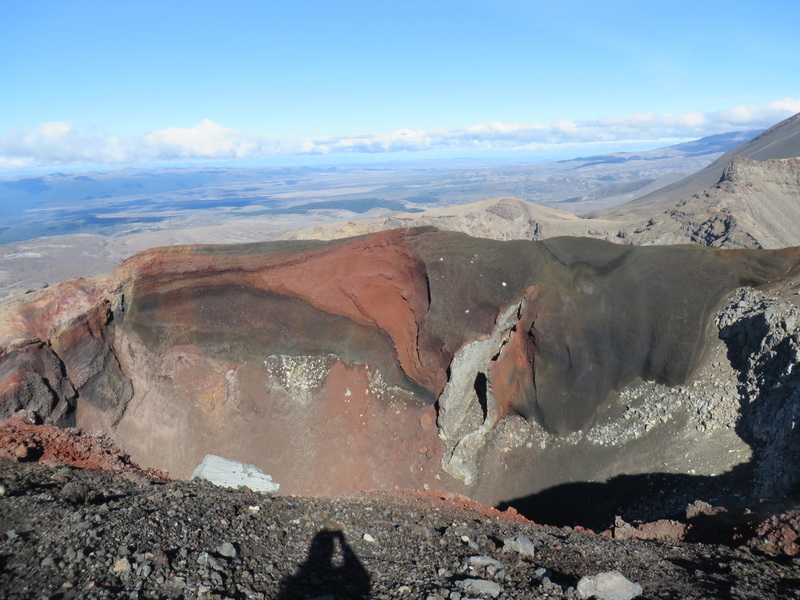 Taupo volcano is one of the best locations to investigate the dynamics of both pre- and post-supereruption magmatic systems because of its young age and high eruptive frequency. Taupo’s caldera was primarily formed in the catastrophic 25 400 year old Oruanui event, which evacuated >530 cubic km of magma. There have been 28 more eruptions from Taupo since the Oruanui event, with the latest and largest at 232 AD. For my PhD I investigated the geochemistry and petrology of post-Oruanui eruptive products to show how the volcano reestablished and then evolved at multiple critical stages, to build a new unitary silicic mush system that most recently fed one of the largest and most energetic Holocene eruptions on Earth, with wide implications for future potential activity at Taupo. How would volcanic ash from a modern eruption of Taupo disperse through the atmosphere and deposit over the modern landscape? What sized eruption would have overwhelming consequences for New Zealand's infrastructure and economy? By integrating Taupo’s volcanic record into a cutting-edge numerical model of ash dispersal, paired with historical weather data, this EQC-funded project will produce new probabilistic hazard maps that will help quantify the impacts of ashfall on New Zealand and indicate regions that are most susceptible to damage. Collaborators: Alexa Van Eaton, Larry Maston (USGS), Thomas Wilson (U.Cant), Mary-Anne Thompson (UoA), Shane Cronin (UoA), Colin Wilson (VUW), Cory Davis (MetService), Iman Soltanzadeh (MetService). Until recently, it was thought that explosive silicic volcanism was uncommon in oceanic arc settings. In a series of recent publications we have investigated the geochemistry of magmas along the Kermadec arc (NE of New Zealand, towards Tonga) and compared eruptive processes across a range of water depths from subaerial to deep submarine. Our work has discovered new volcanoes along the Kermadec arc, described a whole new style of volcanic eruption (Tangaroan), explained the origin of silicic magmas in oceanic arc settings and described how explosive pumice-forming eruptions occur in deep water. With a large collection of pumice, basaltic inclusions and xenoliths from multiple volcanoes our studies have just started to reveal how much is yet to be discovered about the Kermadec volcanoes and submarine volcanism in general. 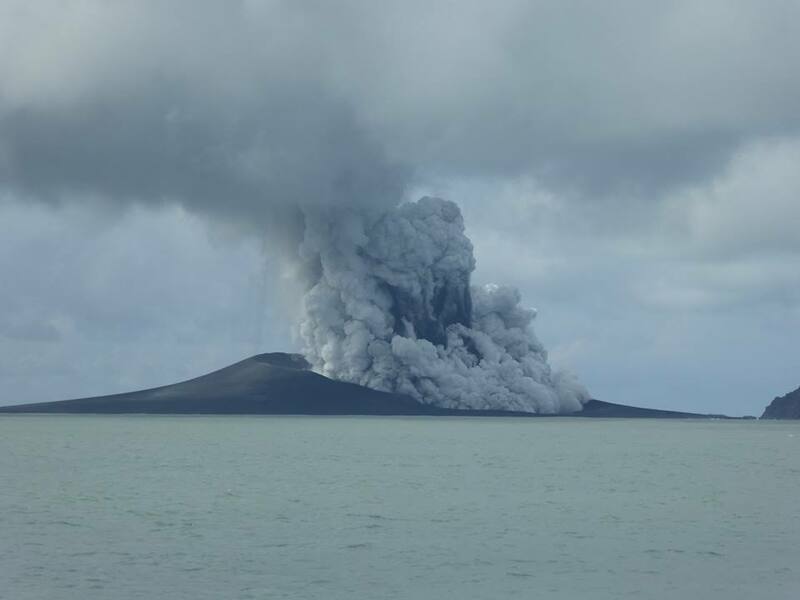 In December 2014- Jan 2015, a new volcanic island formed in an explosive eruption at Hunga Ha'apai - Hunga Tonga, 65 km northwest of Nuku'alofa in Tonga. 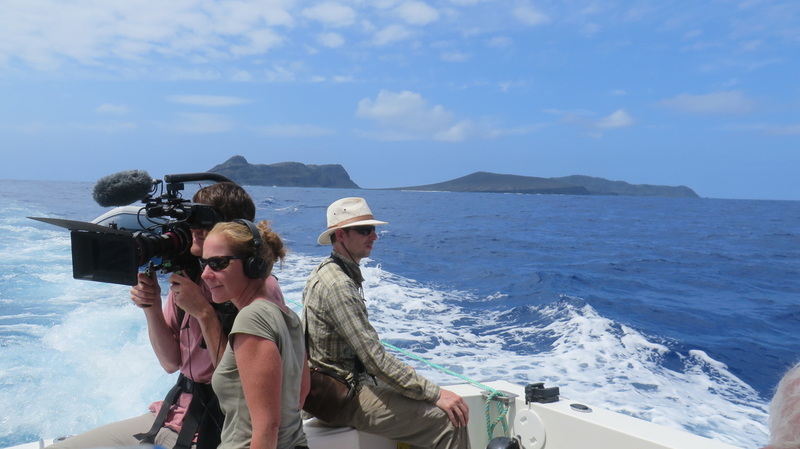 In November 2015, a group of researchers from the University of Auckland together with Icon films from the UK, were the first scientists on the scene to document the new island and the eruption. During the trip we also collected samples from previous eruptions in 2009 and mapped out the submarine volcano using WASSP multibeam technology to find a very large caldera and locate at least 10 new cones and domes scattered around outside of the caldera. Our November 2015 voyage will be complemented by another visit to the island in mid-2016. This will be made after the cyclone season and a second round of subaerial and submarine surveying will be carried out to investigate the mass movement of material from the new island in order to understand the impact these extreme climatic conditions have on easily erodible islands. We will establish a detailed stratigraphic and lithologic record of the complete modern volcano to help build an idea of what sort of eruptions the volcano has produced in the past, and when, and what it may be capable of in the future. Collaborators: Marco Brenna (UoA), Shane Cronin (UoA), Manuela Tost (UoA), Ian Smith (UoA), Lucy Meadows (Icon films).